As we drove onto the reserve we were met with flooded fields and ditches with huge flocks of starling, lapwing and over 50 curlew on one side of the track – a further 60 on the other. Mute swan, greylag geese, coot, redshank and a marsh harrier were also spotted as we continued along the track. As we neared the car park we saw pheasant, carrion crow and several hare. Nineteen of us prepared ourselves with sturdy walking boots and food. With bright sunshine it looked like being a great day, and a quick scan of the website prior to the trip served to whet the appetite with huge numbers of ducks being reported. We started with a scan of the field behind the toilet block and an obliging barn owl which was sitting just inside the owl box. The pools in the field were teeming with wigeon, mallard, teal, more coot and the occasional moorhen. As we passed the feeders in the orchard area we added robin, blackbird, chaffinch, house sparrow and for those with a more adventurous spirit “junglefowl” or domestic chickens to the more correct amongst us! A pale buzzard was perched on the apex of a barn and gave us all some debate as we tried all the telescopes out and changed angles trying to get a different view of it, but a pale morph common buzzard was decided on. A jackdaw flew overhead, and as we followed it with our binoculars towards the fence line Irene spotted a grey heron perched on one of the posts – appearing to scan the nearby pools for food. Here we also saw the first of several little egret. By now the group were strung out along the path, with some of us working our way down the slope where two reed bunting were chasing around in the reeds whilst others were almost out of sight as the path meandered below the sea wall. Canada geese were seen in the distance, a flock of around 2,000 golden plover dipped and swirled in the air over the fields and scrapes often looking as if they would land but diverting at the last minute only to soar again and then repeat the process. As they flew we were treated to great swathes of colours from their distinctive golden brown to shiny bright white as their undersides caught the sun. Louise found a marsh harrier, and then several stock dove. From Well Marsh Hide we added snipe, oystercatcher, cormorant, shoveler, and a fleeting but exciting view of a ring-tail harrier, spotted by Malcolm. Ring-tail is a name given to either a female or juvenile male when it is impossible to tell the two apart. We spent some time in the hide enjoying the spectacle of birds before us, until it was time to move on for our lunch stop. The path to the hide was extremely wet and muddy and Sue decided to repeat her ‘party piece’ by swinging on the gate to get over the mud – a very effective method of staying dry and avoiding the slippery mud. At South Fleet Hide, Cliff spotted ringed plover on the island immediately in front of us – the more we looked the more we found and eventually 75 were counted, along with several turnstone. A kestrel perched on a nearby gate to our left and a peregrine on our right, we didn’t know where to look next. Ahead we had yet another spectacle with huge numbers of birds being disturbed by the incoming tide on the River Swale, looking for a safe haven on the reserve. More ducks, primarily wigeon, shoveler, mallard and teal with two gadwall and a single male pintail busied themselves preening and squabbling as they either formed their pairs or strengthened their pair bonds in the winter sunshine. More snipe, dunlin and some redshank added to our enjoyment. Irene found a female marsh harrier in a reedbed in front of us, it appeared to be feeding at one stage, but spent much time just looking about with an air of superiority – presumably aware of her position in the avian hierarchy. We spent some time in this hide as there was so much to see and enjoy, and it was good to sit down and enjoy lunch surrounded by such a mass of bird life, and in such good light. Eventually we wandered back to the sea wall and climbed up the bank a short way to see if we could spot any red-breasted merganser on the River Swale. As we reached the brow of the bank Ian found a merganser immediately, and everyone managed to get reasonable views as it bobbed on the water. As we enjoyed the view from this high spot Alan found a grey plover on the top of the tide line some way along the sea wall. It was time for us to take the long trek back to the car park, but there was still time for several stops along the way. Sally found a couple of stonechat feeding in low sedge at the side of a muddy track, then three meadow pipit flew over. Malcolm then charged me with counting shelduck – I get all the best jobs! I got to 182 when there was talk of a possible merlin on a nearby gate, so my attention (and telescope) were taken for a while. It was indeed a merlin, and a buzzard was also seen on another piece of fencing. Back on the shelduck counting and we had a final figure of 386, but that was only the ones I could see on a scan of the area. I am sure there were many more hidden in ditches and out of sight at the far side of the marsh. Nearing the final half kilometre we had a better view of the merlin, with a kestrel and buzzard all close by for comparison. The final excitement of the day was the enigmatic barn owl. 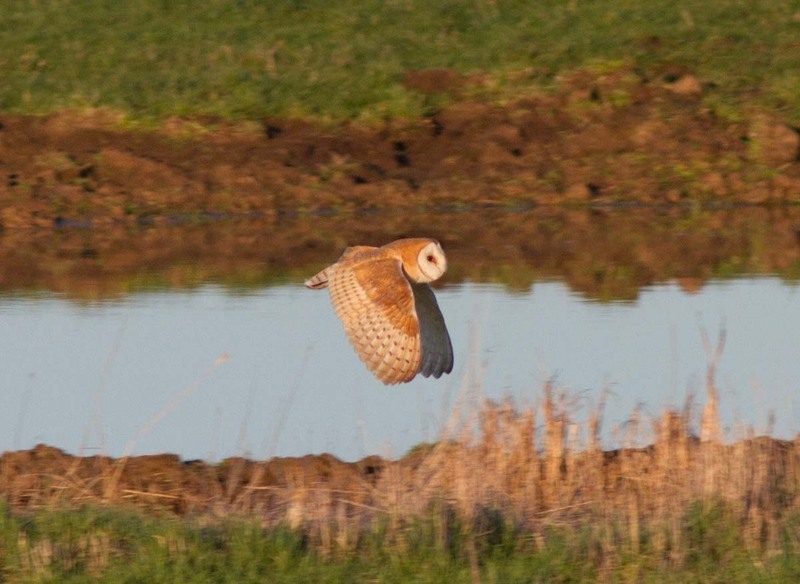 Not just one, or two, or even three . . . . we had four views of spectacular barn owls. We had been told that four young fledged from the barn owl box last year, and presumably we were seeing birds from that nest. The first bird flew towards us and then along the edge of the field using the longer grass in the area to hunt for food. This bird threw us for a few moments as it was very dark on the back, but the superbly white front could only belong to barn owl. Two more individuals left nest box in quick succession, one being mobbed by a magpie. Again they followed the edge of the field where the grass is longer and typical barn owl hunting territory. The final bird was spotted by Malcolm further away from us towards the Swale, and with the sun shining straight towards us it was hard to see any more than a silhouette, and we were rather hoping for a short-eared owl. However as the bird flew away from us, and with some patience, we finally had some reasonable views of a further barn owl. Whether this was one of the birds which had flown down river earlier, using the seawall and the ditches along the side of the Swale as its hunting area or whether it was a separate bird we will never know, but we were left with a great highlight for our day. Back at the car park we celebrated with a chocolate or two, congratulated ourselves on a great day out and reminded ourselves to check the fields along the side of the track on the way out of the reserve for any possible short-eared owls. As I write this I await any possible sightings with interest and anticipation. Finally, in the setting sun, Sally took a lovely photograph of a tree reflected in one of the pools near the farmhouse. A delightful end to a great day. 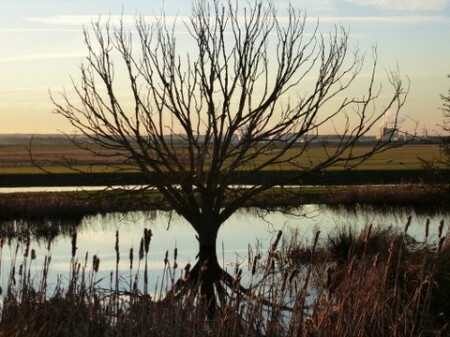 Tree reflected in pool at Elmley by Sally Jennings. Thanks to all those who attended and made it such an enjoyable day out. Hope to see you at Sevenoaks on the 1st February. 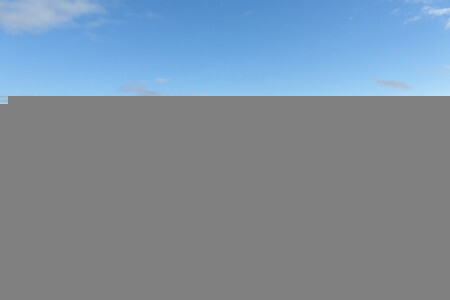 What a marvelous day – surely Elmley is at its best at this time of year! The BTO have just released a video on identifying Divers in winter.